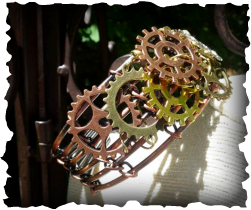 The Alchemy Emporium is Steampunk, Neo-Victorian and what I call 'Pretty Punk' jewellery designed by me (Bronwynne Jones) from my home in Canberra, Australia. The jewellery is largely assembled from interesting found pieces, recovered fabrics, recycled bits and bobs and new findings altered to create something totally new and beautiful. I design each piece of my jewellery and accessories so you can wear it easily over basic black to make an outfit unique. Turning nothing much into something special! 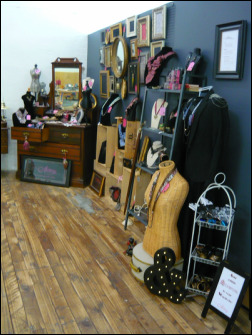 Beautiful hand assembled pieces of steampunk and Neo-Victorian jewellery and other forms of personal adornment. 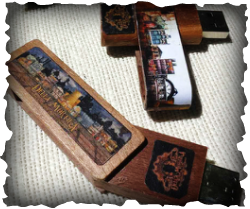 A great selection of items to use and carry such as handbags, usbs, vintage opera glasses, compacts, lipstick cases and more. 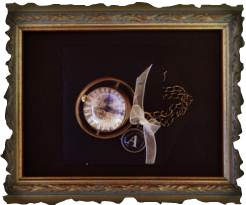 Alchemy Jewellery is art and as such deserves to be seen in all its glory. We sell framed jewellery mountings so you can display your jewellery.